Kids & Parents Love Us! 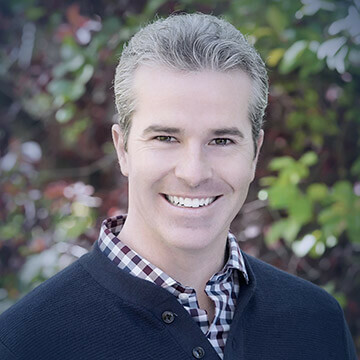 Doctor Christopher Patterson is a Colorado native that grew up in a small town near Boulder, Colorado. His lovely wife Tara is also a Colorado native and grew up in Littleton. Together they have three beautiful and rowdy sons. As a family they love to travel, ski, and enjoy the Colorado outdoors. After receiving a Bachelor in Medical Science from the University of Colorado Denver Health Sciences, Doctor Patterson attended the University of Colorado School of Dental Medicine. During his dental education he completed multiple externships in general practice residency and advanced education in general dentistry programs. He also enjoyed traveling to rural areas with the children’s mobile dental clinic to help the underserved children of Colorado. The best kids dentist EVER! No drugs were needed to fill my daughters two cavities, not even a numbing needle because he uses child drills and filling when possible. Filling her two cavities only took ten minutes, and she was in zero pain or discomfort. She even laid in my lap while he did it, making sure to play games with her often. Compassionate, professional. I have a little boy with ADHD, it has been very difficult trying to get him to sit in the chair at the pediatric dentist. The hygienist was understanding and very easy to work with. We had to have some dental work done, and my son was given anesthesia. The team was compassionate and we were well taken care of. Great staff, great kids dentist, couldn’t ask for anything more! We went to three dentist offices prior to coming here. My son loves everyone in the office. They are very welcoming, thorough, and go out of the way to ensure the kids have a great experience. 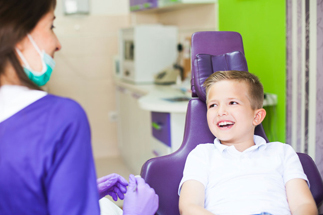 We offer pediatric dentistry in a comfortable and caring environment that is calm and friendly and when your visit is over, your child will leave our office with a brighter smile. 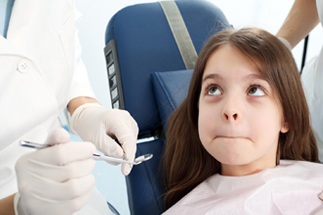 Our epic kids dentist is able to provide sedation means to help your child complete their dental treatment needs. Fillings replace damaged or decayed tooth structure with a restorative material. Sometimes silver crowns made up of stainless steel metal are needed to restore a tooth that has a very large cavity. Tongue-tie (ankyloglossia) is a condition present at birth that restricts the tongue’s range of motion. We invite you to take a virtual tour and look around at our fun and inviting kids dental office in Aurora and Denver. Our team of kids dentist and staff have created an atmosphere of calm, cool, and collected to keep kids feeling at ease, and parents happy. As you can see, our colorful and engaging aesthetics make you and your child feel welcome and our amenities will keep you entertained and relaxed. A pediatric dentist specializes in the oral health care needs of children from infancy through young adulthood. 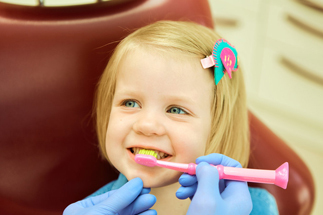 In addition to four years of standard dental school, pediatric dentists complete an additional two to three years of advanced pediatric dentistry specialty training to prepare them to treat younger patients. 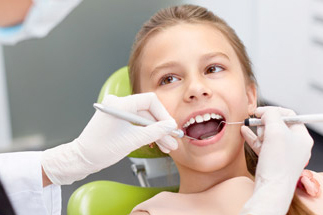 When to Visit a Pediatric Dentistry? The American Academy of Pediatric Dentistry (AAPD) recommend that parents should bring their child to a pediatric dentist by 1 year of age or within 6 months of the first tooth erupting. The pediatric dentist team at Epic Dentistry for Kids recommends the same. Pediatric dentist have additional training in patient behavior guidance, additional options or approaches to examine and treat children in ways that make them comfortable, and care of the medically and developmentally compromised patient. This is necessary for the safety and comfort of young patients. A pediatric dentist that is board certified has gone through a rigorous testing process with he American Board of Pediatric Dentistry. A board certified pediatric dentist demonstrate an exceptional knowledge and expertise at a standard not possessed by other dentist. Get a Free Athletic Mouth-guard on your First Appointment with us. Includes professional dental cleaning, fluoride treatment, needed bitewing x-rays and comprehensive exam.